This new and very welcome bus is run by the Afikim bus company. It is route #485. This is great for backpackers, 1-bag travelers, and students coming home for break because it is expected that the rule is one suitcase per passenger. Bus stop #1911, Haknesset and Kaplan. This is the Knesset, Isreal’s government building (aka Parliment of Israel). 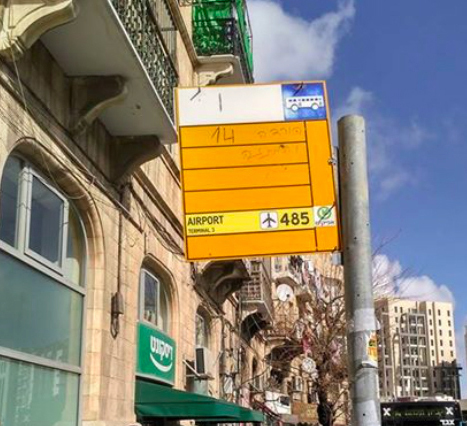 Then it arrives at stop #471, the Tahana Merkazit (Central Station) bus stop on Jaffa (Jaffa) Street near Moriya Street. (Actually a 100 meter, 1-minute walk from the front entrance to the bus station. It arrives there for pick-up at approximately 10 minutes after each hour. Screen shot of Google Map showing bus stop. Mouse shows Light Rail stop. Red shows the bus stop. There are then two more stops to pick people up before it drops passengers off at Terminal 1 and Terminal 3, supposedly where the taxis drop people off as well. Likewise, you can board the bus at these Terminals and ride into Jerusalem. The bus runs around the clock, 24 hours a day, except when stopping for Shabbat. It is said that it will be possible to order your ticket/seat online at the Afikim website, afikim-t.co.il. However, I am not seeing a Buy Tickets area when I read the translated site. When I travel in Isreal I use bus.co.il to learn about buses. There are English pages. As I write this, bus #485 isn’t listed yet, but I’m sure it will be. 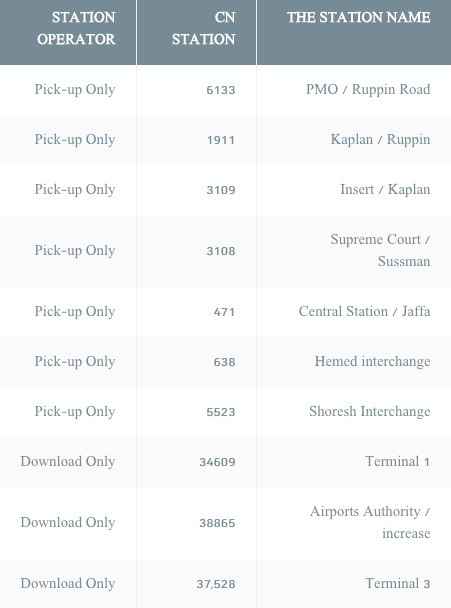 Here is my screen shot of the bus stop listings. I can’t promise its accuracy. This shot was taking late at night on February 15, Israel time. You can click on it to see a larger image.